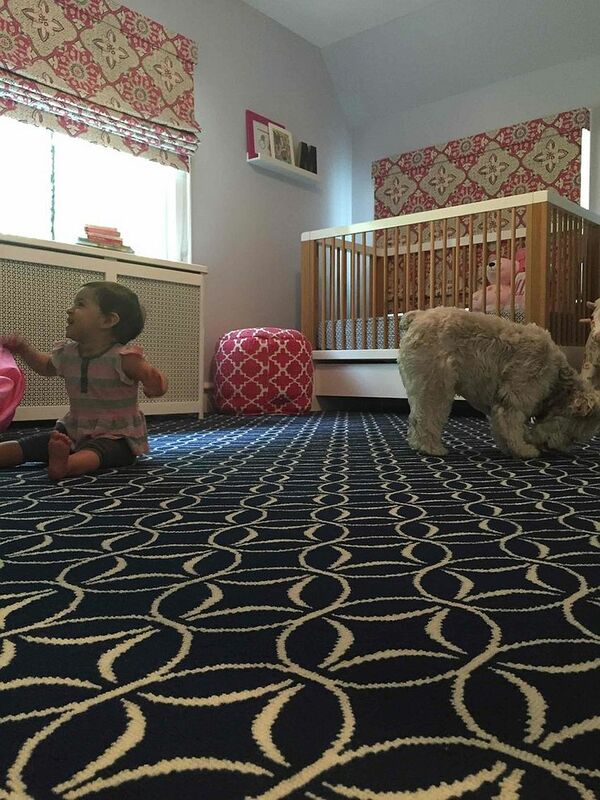 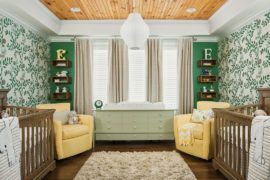 Designing and decorating that perfect nursery for your little one can be incredibly fun when done right. 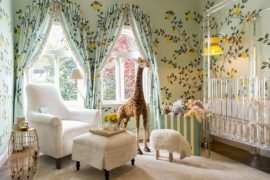 It all starts by clearly picking a theme for the nursery and understanding the spatial and functional requirements of the room. 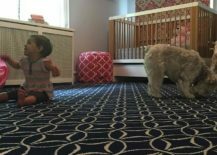 While some parents go down the path of an outlandish nursery that is theme specific, a safer option is to create a flexible environment that can evolve and grow along with your kid. 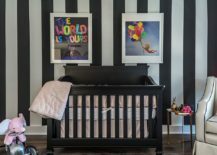 Color scheme plays a big role in all of this, and while it is often overlooked and underutilized, black is one of those colors that can dramatically alter the appeal of a modern nursery. 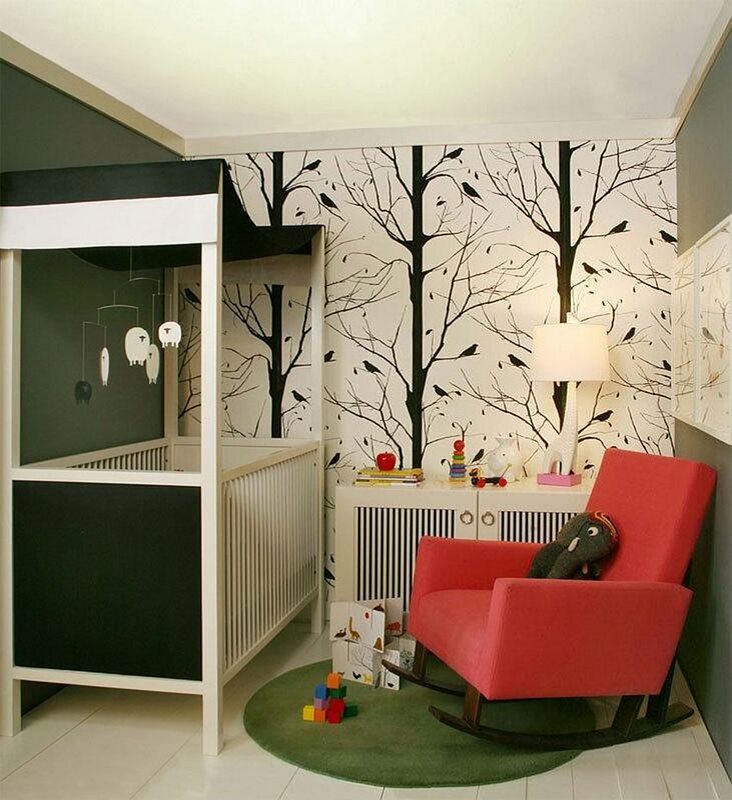 Black on the nursery walls is not an odd choice at all if you can use the color in a creative and contemporary manner. 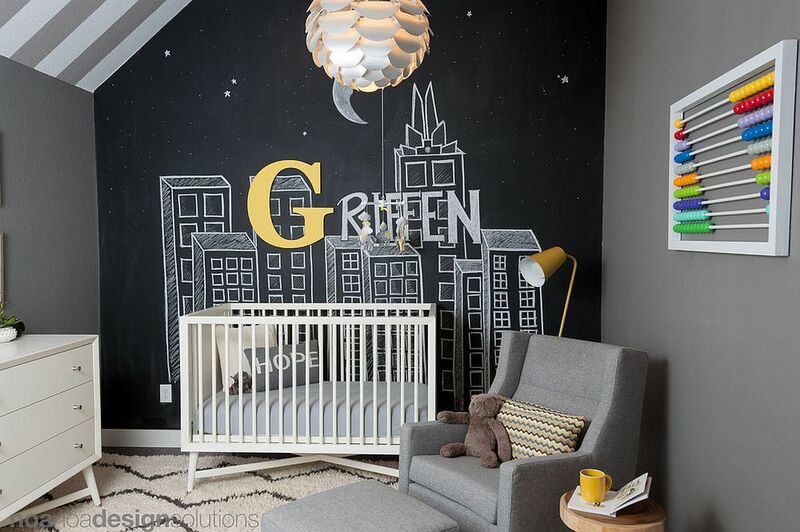 Chalkboard walls are a great choice here, and they also let you easily transform a nursery into a smart kids’ room as your little one grows up. 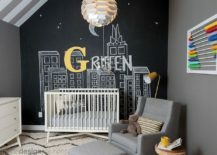 Giving the toddler ample space to scribble away without ruining all the other walls in the house, a black chalkboard wall in the nursery makes plenty of aesthetic and practical sense. 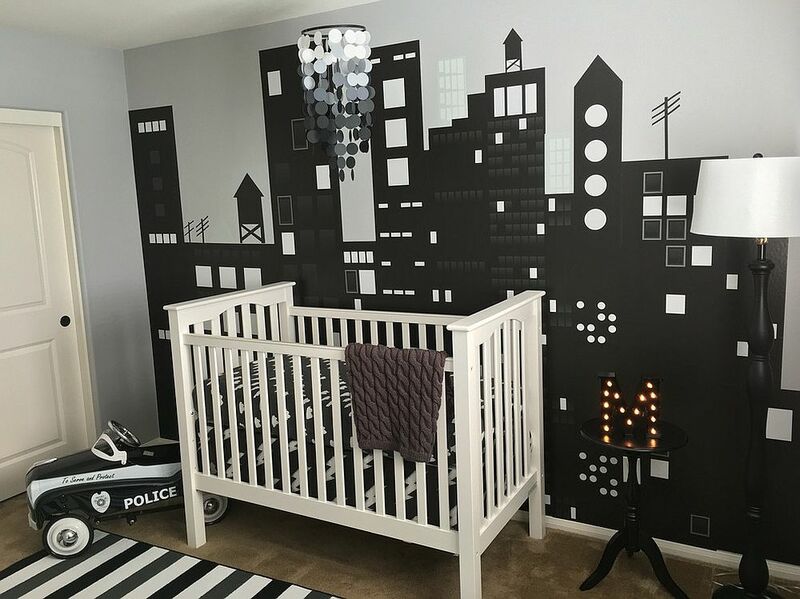 Two-tone walls in black and white and black accent walls also allow you to craft a polished backdrop in the contemporary nursery. 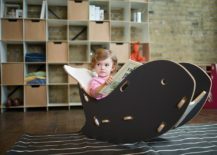 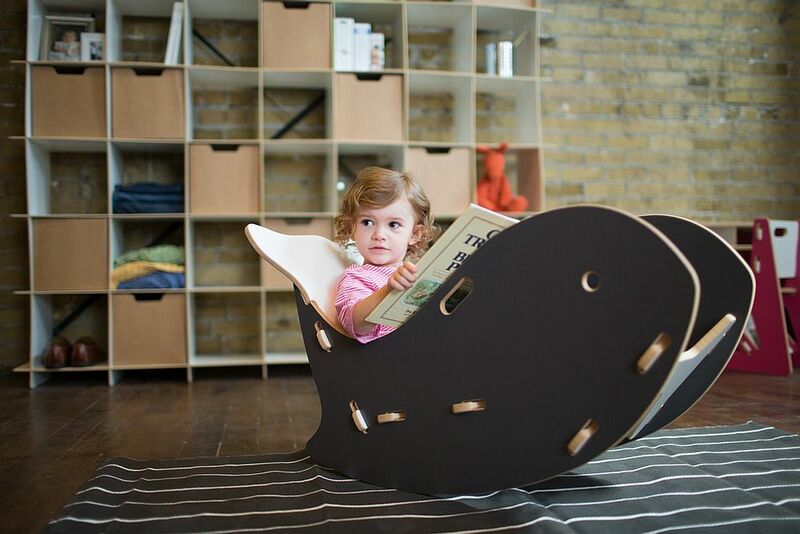 RELATED: Beating Boredom in Style: Going Modern Industrial in the Nursery! 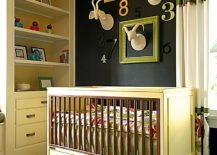 Black in the nursery is a hue that can surprise you with its versatility and an ability to adapt to different themes with ease. 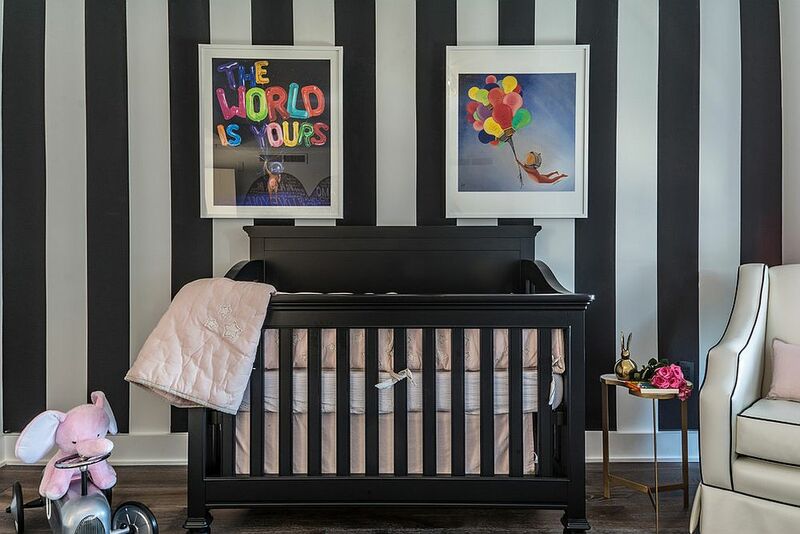 Black and pink is a hot and trendy color combination for the chic girls’ nursery, while black along with white and red looks perfect in the boys’ nursery. 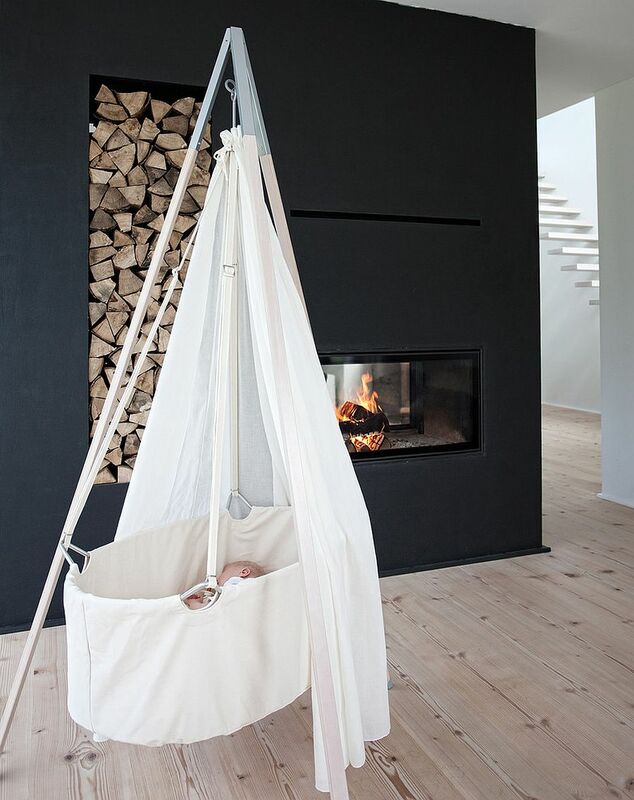 Purple is another color that can be used with black to paint a regal and refined picture, while the classic black and white blend is a color palette that is great for styles like Scandinavian and even shabby chic. 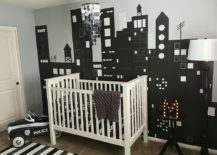 Both wallpaper and custom wall murals are arguably the most popular way of enlivening the modern nursery, and black is a color that comes in handy here as well. 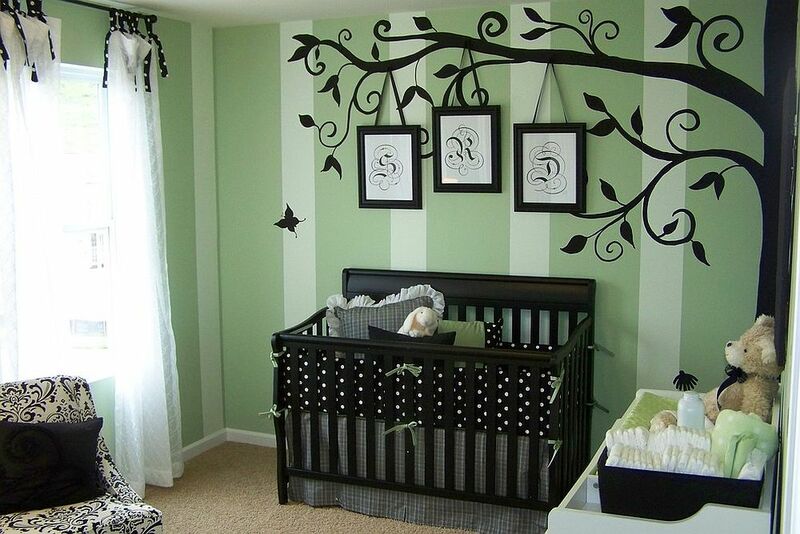 Decals and wall murals in black offer plenty of visual impact and ensure that the motif stands out visually. 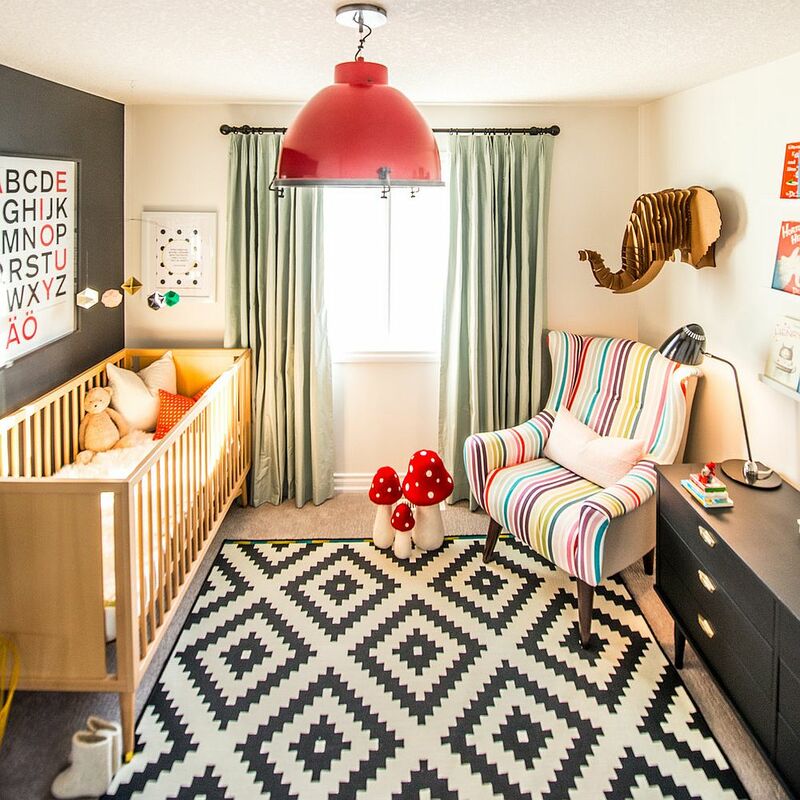 With light pastel hues and neutral shades being used more and more in the nursery, it makes perfect sense to use black to create the necessary visual impact. 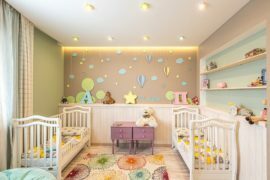 Black wallpaper, on the other hand, is used less frequently, but with the right theme and color scheme, it too can shape a dashing accent wall. 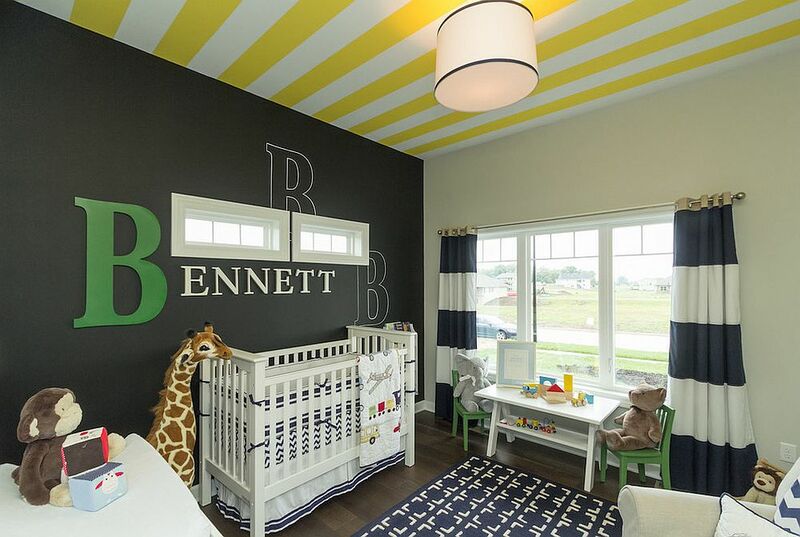 The striped black and white accent wall is another cool alternative that adds both contrast and pattern to a nursery, regardless of its style. 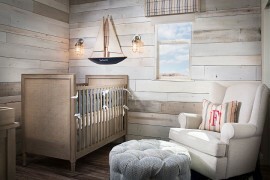 If a striped wall feels a bit too mundane, you can even turn to the ceiling to give the room some striped sizzle! 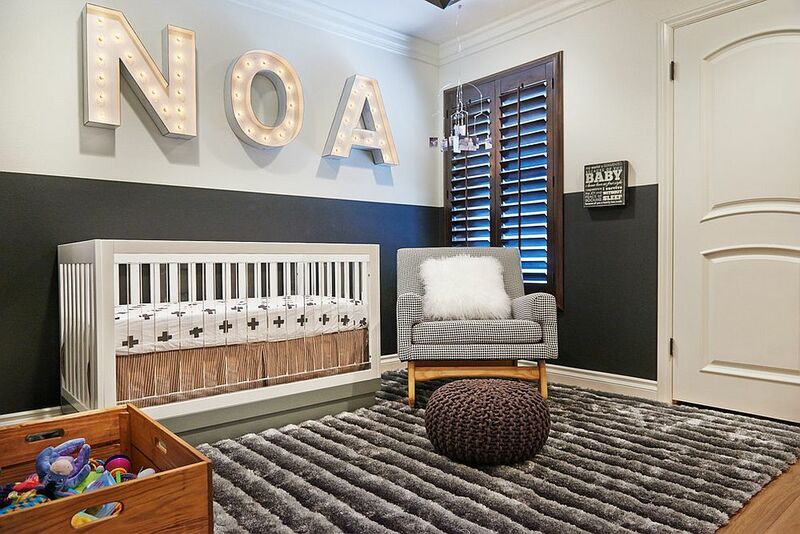 Drapes and rugs with different patterns in black might be all you need at times to completely transform the ambiance of the nursery, while a black crib set against a white backdrop makes a bold style statement. 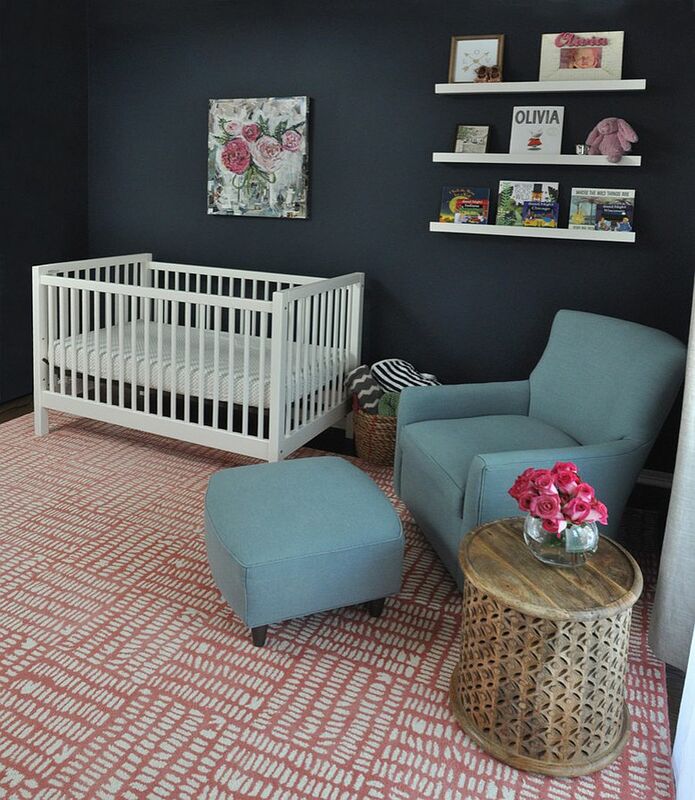 From changing tables and ottomans to rocking chairs and side tables, décor in black always makes a big impact in the small nursery.